Shen Yun, a professional troupe of classical Chinese dancers, acrobats and musicians is coming to Utah. Performances are March 12 & 13 at the Val A. Browning Center at Weber State University in Ogden. Ticket prices range from $50 – $120. The show is sold as a family-friendly spectacular but gets mixed reviews with some theater critics calling it propaganda cloaked in art. Most of the troupe’s members are Falun Gong, a religious group persecuted under Chinese communist rule. It’s possible that chilly receptions to the show’s less-than-subtle message speaks to western/eastern cultural differences in the consumption of art and media. This entry was posted in Cultural events and tagged Chinese dancers, Ogden, performing, Utah on November 30, 2012 by diparents. This entry was posted in News and tagged foreign language, French, immersion, Utah on November 28, 2012 by diparents. You don’t have to know Mandarin to support your dual immersion learner. But it certainly doesn’t hurt. Sarah Erwin, a parent at Lone Peak Elementary has put together a free, one-hour workshop on the basics: pinyin pronunciation, how to use a Chinese/English dictionary, parent-tested homework tips and more…. Monday, Dec. 3 at 1 p.m.
Tuesday, Dec. 4 at 6:30 p.m. This entry was posted in What can parents do? 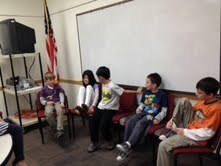 and tagged basics, immersion, Mandarin, parent, Utah, workshop on November 26, 2012 by diparents. If someone on your holiday shopping list is interested in learning a world language, consider this great deal for a stocking stuffer: A subscription to Rosetta Stone. For the third consecutive year, Canyons is partnering with Rosetta Stone to offer students, their families, and District employees an opportunity to buy heavily discounted subscriptions to Rosetta Stone for 2013. The subscriptions run from Jan. 1 to Dec. 31, 2013. This offer, available now through Dec. 14, 2012, makes available all online levels of Rosetta Stone for $95. A renewal fee for those who participated last year also is $95. Languages include Arabic, Chinese (Mandarin), Dari, Dutch, English, Filipino (Tagalog), French, German, Greek, Hebrew, Hindi, Indonesian, Irish, Italian, Japanese, Korean, Latin, Pashto, Persian (Farsi), Polish, Portuguese, Russian, Spanish (Latin America), Swahili, Swedish, Turkish, Urdu and Vietnamese. For your convenience, you can purchase a subscription on the Canyons District Web site. Questions? Call the Evidence-Based Learning Department at 801-826-5045. This entry was posted in Resources and tagged immersion, Mandarin, Rosetta Stone, Utah on November 11, 2012 by diparents. Last Saturday a half-dozen Mandarin learners met at the Sandy Library to hone their language skills. It was serious business cloaked in fun and games. Chinese Corner is a free community activity where Chinese language learners gather to practice their speaking skills. Native speakers join the group to correct pronunciation and answer questions. Students benefit by practicing what they learned in class in a relaxed, conversational environment with peers. They make new friends, improve their social and listening skills and stretch their vocabulary. Chinese corner is adopted from the “English Corner” tradition in China where high school and college students gather in a library or park after classes to take their English for a spin. The subject matter is chosen by participants, but content from classroom textbooks can be put to use. The experiences boosts students’ proficiency and gives them the confidence they need to use their second language in public. The meetings usually start with a game or get-to-know-you activity, followed by a brief lecture by a native speaker who introduces a topic for discussion to get the conversation flowing. Students then break into smaller groups, according to age or fluency level. Utah Chinese Corner meets every other Saturday for an hour starting at 10:15 a.m. at the Sandy Public Library (10100 Petunia Way Sandy, UT 84092). The next event will be Nov. 17. Come join us! This entry was posted in Uncategorized and tagged Chinese, Chinese Corner, immersion, Mandarin, Utah on November 6, 2012 by diparents. Talk about multi-cultural. A Greek pharmacist runs one of Utah’s most popular Mandarin restaurants. This entry was posted in News and tagged Mandarin, restaurant, Utah on November 1, 2012 by diparents. This entry was posted in News and tagged Chinese, cultural exchange, Utah on November 1, 2012 by diparents.